To modify a PDF template by hand beginning by creating a custom template and then locating the template folder. 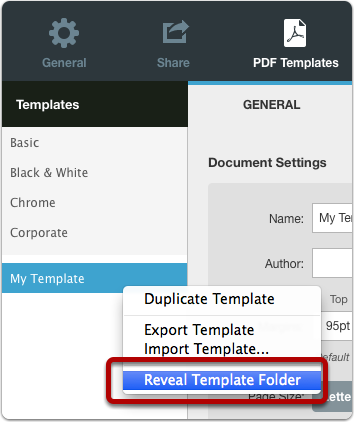 To locate the template folder right-click on the template and select Reveal Template Folder from the contextual menu. The template folder will be revealed in the Finder (Mac) or Windows Explorer (Windows). You can then begin editing the files.